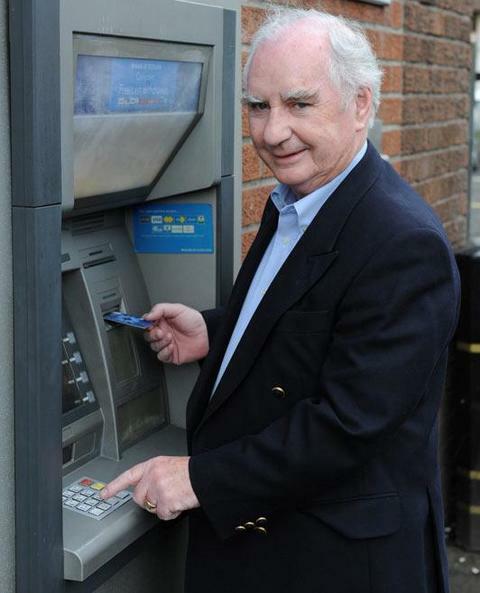 The Personal Identification Number was invented by Goodfellow in 1966 to secure cash ATM machines. Referred to as the 'Chip & PIN' system. James Goodfellow OBE was born in Paisley, Scotland in 1937. During the 1960’s saw the trend of employers to pay wages directly into the employees bank. Weekend closures of banks limited a working person’s access to their own accounts, and money. The banks needed a cash dispenser or ATM, to provide a weekend service. Martins bank had asked Chubb to produce a machine to be placed outside the bank that would allow customers to get cash when it was shut. The task was taken up by Kelvin Hughes, a subsidiary of Smiths Industries Ltd. Goodfellow designed a software system that could accept a machine-readable encrypted card, identifying the individual, and providing them with their money on demand. UK Patent No. 1,197,183 dated of May 2 1966, covers this invention. It is also covered by US Patent No.3,905,461. The PIN, or Personal Identification Number is a short code entered by the cardholder into a cash dispenser that, if found to correspond with the specific encryption on the card, will activate the machine, and allow a withdrawal to be made. This concept is still in use some 53 years later all around the world though USA were slower to realise the benefits of this simple invention. There are now millions of ATMs around the world, , as well as in ‘point of sale’ (Chip & PIN) terminals, facilitating more than a billion ‘chip and PIN’ sales every day. 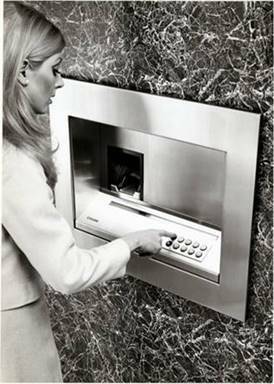 The Martins Bank Auto Cashier was the first cash dispenser to use a plastic card in conjunction with a PIN. The competitor, the BARCLAYCASH machine, was designed by De La Rue.